Implosion is an upcoming iOS app that promises users an impressive, character-driven combat game featuring dynamic visuals, thrilling music, and intuitive virtual controls. In a new trailer for the game, however, more information on the in-development title has hit the Web. The new trailer, which reached us from TouchArcade, is embedded below, and it delivers one particularly important piece of information. First, while some critics had been concerned that the app’s ultra-fast paced mode of gameplay might not work well alongside on-screen virtual controls, developer Rayark Games has confirmed that MFi (Made for iPhone) controller support will also feature in Implosion. As such, owners of Logitech’s PowerShell or SteelSeries’ Stratus will be able to connect their gamepad up to Implosion in order to enjoy a more console-like gaming experience. The new trailer also emphasises Implosion’s co-op multiplayer mode, too, while providing gamers with a look at how the app’s combat elements are going to fit together. 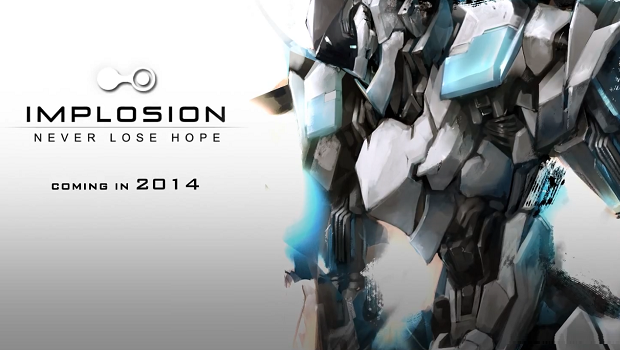 The only downside is that we’re unsure exactly when Implosion is going to grace the App Store. TouchArcade adds that a release date of “2014” is still offered by the developer, though whether the app will see a summer, fall, or winter launch remains to be seen. In the meantime, see: Multiplayer Racing Is Finally A Go In The New Version Of Rovio’s Angry Birds Go!, Yo, The Single-Tap Zero Communication App, Gets Smart With IFTTT Support, and Apple’s iPhone Trade-In Program Drops The Max Value Of Handsets To $225.